Data security is essential in protecting any organization from risk of compliance gaps and unauthorized use of protected personal information. 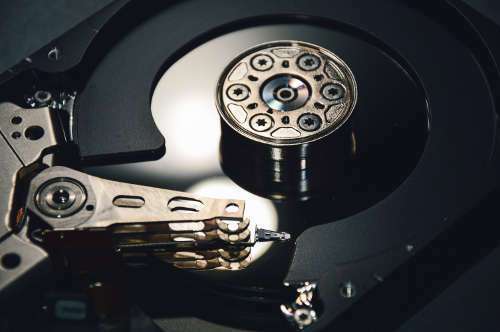 Bitlocker Enterprise disk and media encryption serves as the foremost line of defense when it comes to personal information protection, shielding your organization from data leaks. There is no question that one of the most important assets an offline or online company can have is its data. It is an asset that can’t be replaced, and when it comes to data protection, the power of reliable encryption can never be overemphasized. Data encryption is perhaps the strongest wall of defense providing your organization with real multi-layered security. This is exactly what Bitlocker Enterprise is all about. The level of encryption the software provides is formidable, rendering any and all information absolutely inaccessible by unauthorized users. The best part about the software is the fact that even if an unauthorized individual gain physical access through maleficent IT practices, he will still not be able to read the data. Compelling Reasons to Harness the Power of the Bitlocker Enterprise Software for Topnotch Encryption. Using a powerful encryption will enable you to avoid losing sensitive data, which in turn will keep you away from its adverse consequences. For example, losing critical information and data can result in increased branding costs and decreased reputation, criminal prosecution, regulatory penalties, and public disclosures about lost unencrypted personal and private information, etc. Mitigate or reduce the expenses connected to device encryption provisioning, management and support throughout your company’s IT framework. The administrative aspect of the software is highly simplified. MBAM (Microsoft Bitlocker Administration and Monitoring) provides IT administrators with ability to fully automate data encryption on disk volumes on their client’s computers throughout the organization as well as removable media. BitLocker also provides a self-services portal for all users. MBAM’s Self-Service benefit provides users the option to freely access their PCs in case they are locked-out by operating system. Microsoft Bitlocker Enterprise is designed to be highly versatile and flexible. The software quickly encrypts your entire data stored on each drive you designate, which includes removable/external drives. Total encryption of Windows OS drive, removable drives and removable media such as optical disks. The policy settings provided by MBAM administrators and policy managers with flexible policy options. Independent administration portal. The software provides users with the Drive Recovery tool, which you can access using Microsoft BitLocker Administration and Monitoring website. The feature enables administrators that have key roles in data administration to be able to recover critical data. Full auditing of recover key access. MBAM provides your organization IT security officers with the power to audit all the access to recovering important information through the Recovery Audit Reports. The Bitlocker Enterprise encryption feature is automatically included via the installation of a compatible Windows operating system. The feature is free for use. On top of that, the MBAM, which is short for Microsoft BitLocker Administration and Monitoring is a key component of MDOP (Microsoft Desktop Optimization Pack), which is also free for use, but for customers that have Software Assurance for their OS or as part of an Enterprise or Campus agreement with Microsoft Corp.